When the sun goes down, Exeter still has plenty to do! One of the most asked questions when visiting a new destination is - What's the Nightlife like? 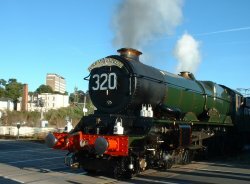 Whether you are visiting Exeter for the first time or just want to know what's available in the city, these pages give just a brief overview of Exeter's Evening Entertainment. This along with checking out the Exeter Events page should provide you with plenty of choice. 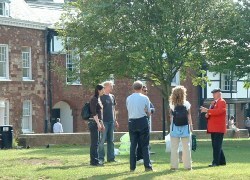 Exeter has a variety of nightlife and evening entertainment with lots going on throughout the year. There are three cinemas and also a few nightclubs within easy walking distance of the city centre. 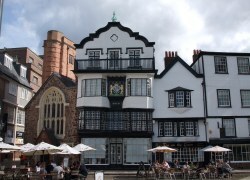 Exeter has a good selection of public houses & wine bars to choose from making the central area particularly busy on Friday and Saturday nights. A lot of city's public houses also serve food and there are also several nice restaurants not just in the centre but right across the city. These range from Italian & Latin American to Thai & Chinese with lots more in between. Other evening entertainments include theatres, a ten-pin bowling centre, the Exeter Phoenix arts centre and Westpoint - an entertainment complex, which holds concerts, shows and displays on numerous occasions throughout the year. A selection of entries taken from the ExeterViews.co.uk Entertainment Directory. Gay bar and club located in Gandy Street. Venue for amateur and professional theatrical companies. A former 16th century coaching inn. Tapas Bar and Restaurant, South Street, Exeter.